ADAPTER is a free service created by the Estonian research and development (R&D) community, to offer simple access to the best of Estonian R&D for all companies and organizations. With a single message, you can reach more than 3500 scientists and engineers within the ADAPTER network. 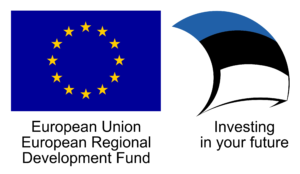 From sound design to biotech and from product development to market research – if there is a specialist in your field of interest available in Estonia, we probably know where to find them. And if we don’t, our extensive international contact network will help. send inquiries to all participating universities, colleges, research and development organizations at once or find yourself a suitable cooperation partner amongst participating organizations. ADAPTER guarantees a response within 5 working days. find services, be it consulting, measurement or analysis or training and courses through our services database. find available funding measures for innovation and development activities for companies.